Having generated considerable pre-show buzz though social media in the months prior, ‘The Album Project’ made their debut on December 15th, 2015 with a performance of The Who’s double LP ‘Quadrophenia’ at the Cheltenham Playhouse. To say the audience were not just amazed, but blown away would be an understatement. If this sounds like empty hyperbole, ask anyone who was lucky enough to be there and they’ll tell you that any number of colourful adjectives would hardly do justice to the accomplishment they witnessed that night. Fulfilling their stated aim of ‘bringing some of the greatest albums ever recorded into live performance’, not only did Simon and Jake’s ensemble produce an authentic recreation of the album’s every effect, riff and cymbal crash to the point you could almost hear the vinyl itself crackle and pop, but, fronted by phenomenal guest vocalist Josh Rawle they brought it all to vivid raucous life with a swagger and good humour that almost dared to make it look easy. 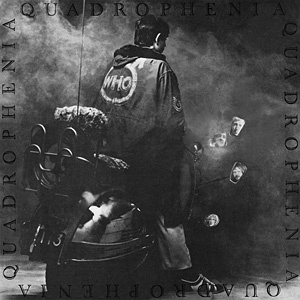 Quadrophenia is the sixth studio album by the English rock band The Who, released on 26 October 1973. It is a double album and the group’s second rock opera. The story follows a young mod named Jimmy and his search for self-worth and importance, set in London and Brighton in 1965. It is the only Who album to be entirely composed by Pete Townshend.